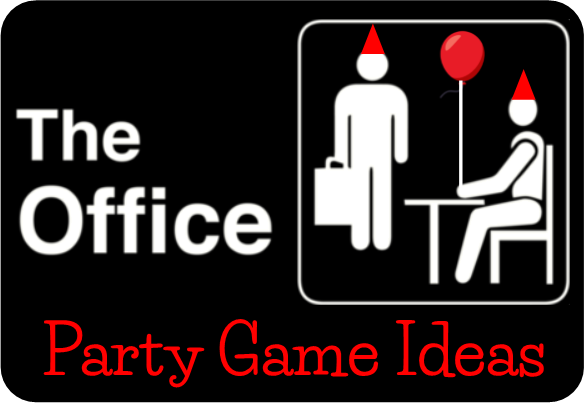 A The Office Theme Party - YES! This is the show that never gets old or boring. 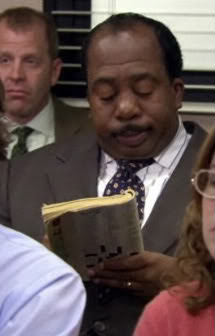 From Jim's antics, Dwight's over-the-top Dwightness , Michael's awkward and cringe-worthy fiasco's, Angela and her cats, Andy losing it, Meredith takes another shot and Stanley just doesn't give a F---. This party is going to be legendary. All you need for this game are copy paper and space. The most fun way to set up a competition for this game is bracket style just like in the 20th episode of the 9th season 'Paper Airplane'. 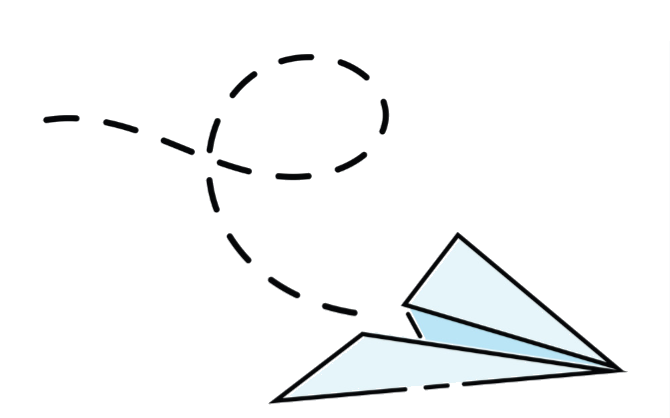 To play players must fold their own paper plane without any outside assistance. Two players play against each other in a 2 out of 3 battle. The winner moves onto the next round. Continue playing until a champion rises. Have players divide into pairs. Standing about 3 ft apart have the toss the beet back and forth one time. 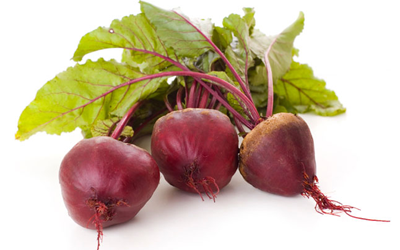 If they can do this without dropping the beet then they each take one step back from each other and toss the beet back and forth again. The pair that gets the furthest apart before dropping the beet wins! When guest arrive provide each of them with a pencil and a crossword puzzle. When they have finished award a prize to the player that got the most correct answers. 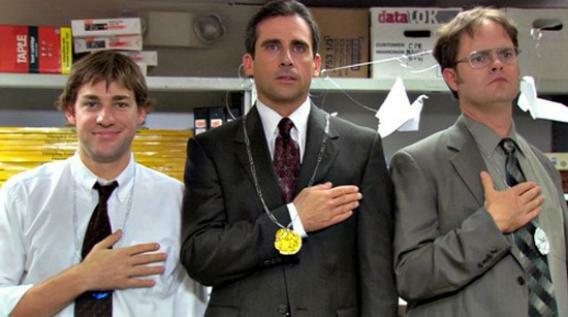 Our trivia hunt will test your guest knowledge of The Office in a fun and engaging way. Each clue leads to the next and features a different kind of challenge puzzle they must solve. 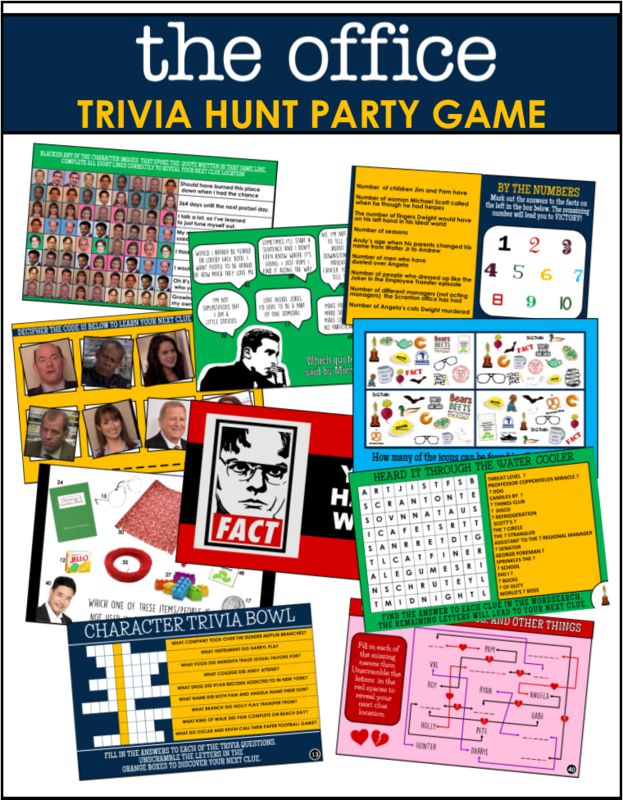 Puzzles include a The Office icon puzzle, a office romance test, a Michael Scott quote game, a Who Said it puzzle, a Jim's Pranks test, and many more. 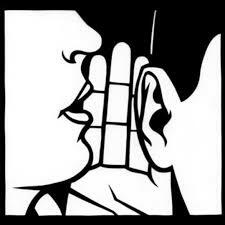 This game is ready or Instant Download which is delivered to your email in a ready-to-print PDF file. It includes Easy Set-Up instructions. Get Complete Details, Clue Samples, and Download Instructions! 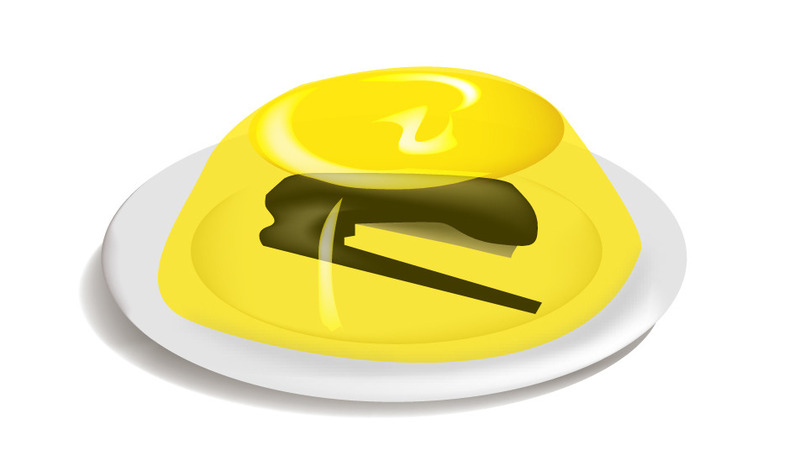 Each player receives a yellow jello mold with a stapler in the middle. It doesn't need to be a full size stapler, it can be the mini kind. Just make sure that all staples are removed. Players put their hand behind their back and on the start of go they can use whatever means necessary, short of using their hands, to remove the stapler from the jello. The first player to have their stapler at least 98% free of Jello wins. Invite everyone to cook and bring their favorite chili recipe and have a Chili Cook-Off. Not only will this be a fun challenge it will also provide a delicious meal for your guests. Let's just hope nobody falls down and spills theirs all over your floor. Yikes! 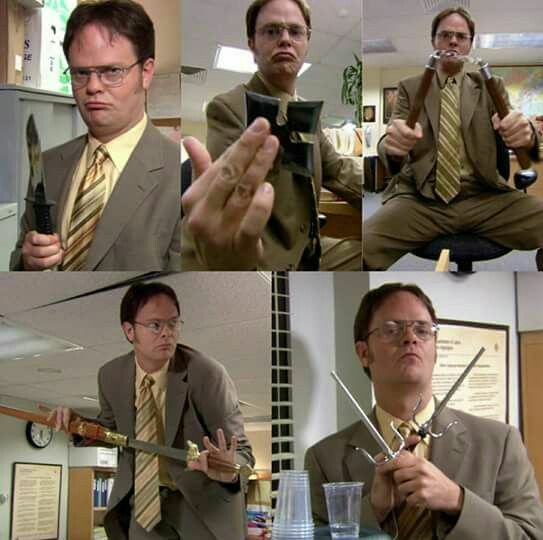 ﻿Set up an Office Olympics just like Jim did in in the third episode of the second reason 'Office Olympics'. Below are a few ideas for competitions. Make sure to include yogurt top medals to the winners at the end. Purchase plastic weapons ( the more obscure and ninja-like the better) and hide them around your party area. Challenge players to find them. The player that finds the most wins. Blindfold players and see how many weapons they can name just by feeling them. Inspired by the sixth season premiere "Gossip" when guest arrive have the write one lie and one truth about themselves on two index cards. They should not specify which is which. Mix up all the cards and hand two cards to each player. They must mix and mingle while spreading their rumors. After have each player come up and the other players must guess which rumor about them is true and which is false. This is a great way for guest to get to know each other better. 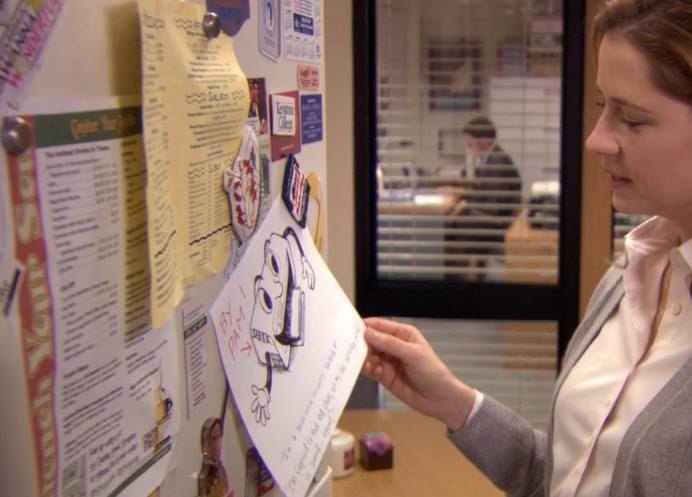 In the 15th episode of the 7th season Pam starts a caption contest that the whole office gets involved in. Gabe tries to stop it, but instead he makes himself a prime target in the game. Find two or three cartoons without words or explanations and have guest create funny captions for them. Share the captions without stating the author and let players vote for their favorites. 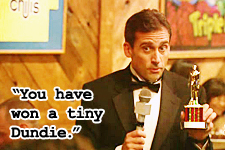 What Office party would be complete without a Dundies award show. 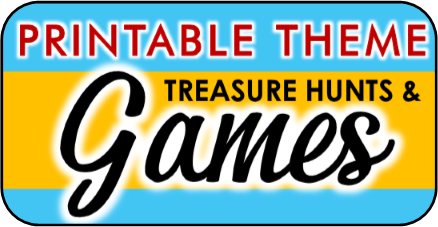 Purchase little trophies, you can get a bulk of the super cheap at Oriental Trading Company. 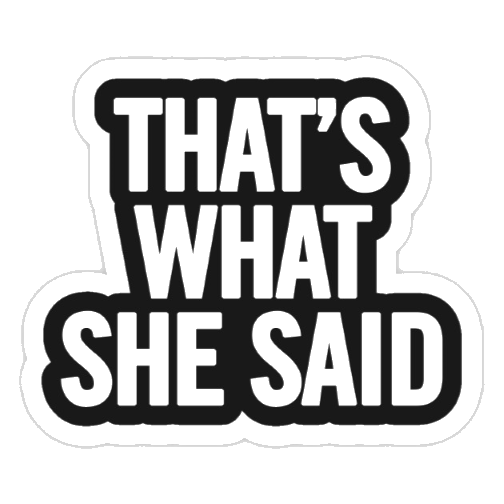 Come up with a offbeat award for each of your guests and present them with a Dundie trophy for it. Make a big deal. Have un with it. 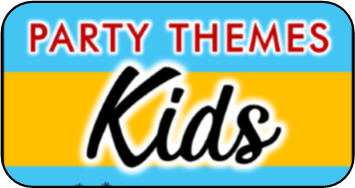 These trophies also make fun party gifts.